A delicious milk sweet for those who are partial to milk sweets during Diwali. Doesnt take long to prepare and makes good gifts too . Recipe from Milkmaid and it is so easy and makes it quicker in microwave too. 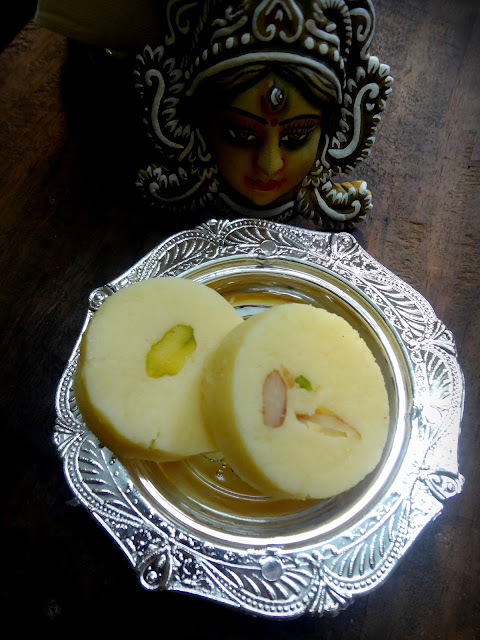 As usual I have not used store brand condensed milk but made my own , recipe given below, which controls the sweetness of the peda. 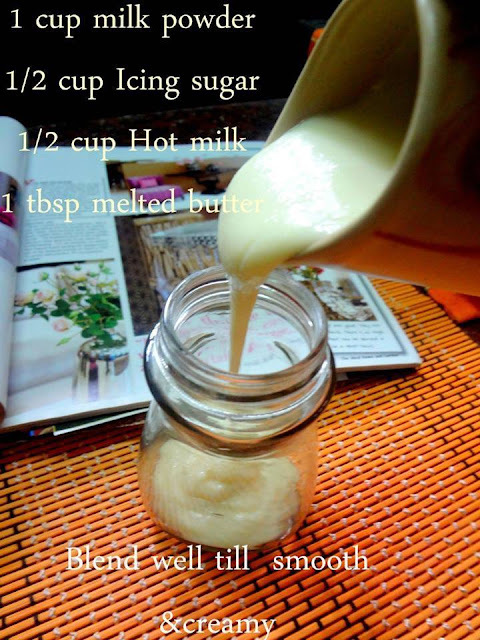 I find ready made condensed milk too sweet . So use either a tin or make your own. Take a heavy non stick pan preferably, add condensed milk,milk powder, keep stirring, add lime juice and stir well, citric acid can also be added instead of lime juice. At this point the mixture looks curdled. 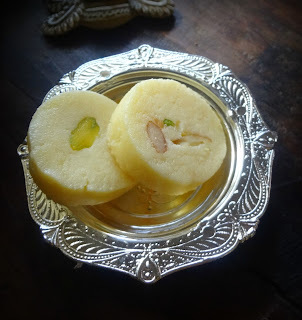 keep flame on low, keep stirring, now add the milk and cornflour mixture , add the cardamom powder, saffron soaked milk ,ghee, stirring till the mixture forms a ball and coming together from the sides. Let it cool before shaping into pedhas,it will be easier to handle when cooled and then made into pedhas,use a mould or shape with hands.